An easy to apply, practical format that is ideal for the whole family. Water resistant. With Mexoplex, Mexoryl XL and Mexoryl SX to provide the highest broad spectrum sun protection available against the harmful effects of both UVA and UVB rays. Contains Thermal Spring Water. Anthelios efficacy has been demonstrated via clinical studies carried out in-vivo on subjects suffering from sun intolerances, particularly those caused by UVA rays. 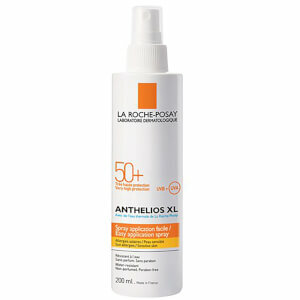 Anthelios products all have a high PPD (Persistent Pigment Darkening) factor, offering one of the best protections against UVA offered by any brand in the world. The efficacy has been proven by a file of 16 clinical studies carried out by world-renowned expert dermatologists. The brand was also the first laboratory to use Mexoryl XL and Mexoryl SX and the first to use photostable UVA filters in its sun protection. Apply 30 minutes before exposure and re-apply frequently and generously every two hours to maintain protection especially after swimming, perspiring or towelling. Shake well before use. Do not spray directly on face. Avoid exposure to the sun during the hottest hours of the day. Keep children under 3 out of the sun. I can finally enjoy the sun! As someone who suffers from PMLE but loves the sunshine, I’m so happy to have finally found a product that suits my skin, allows me to tan but also protects me from developing the horrendous PMLE rash. Smells great, goes on well, not thick or streaky but still moisturising. Light, good coverage and smells great. What’s not to love? I won’t buy any other sun cream again! Overall liked it for moisturising properties but it is quite sticky and in the beach you will be covered with sand. So the statement that it is not sticky is not true. Good for non beach sun protection. I am one those people that struggles with prickly heat in the sunshine. 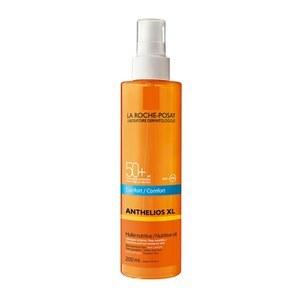 This sun lotion is the only one I have found where I can spend the whole holiday and not suffer from prickly heat. So it’s a big 5 stars from me. Is slightly more expensive than some but I think worth it. Excellent fast delivery too. Having used a previous face sun cream that left my skin feeling greasy and looking shiny I discovered this and haven't looked back... it's so light and fresh smelling.. no shine, no grease... I've stocked up!! 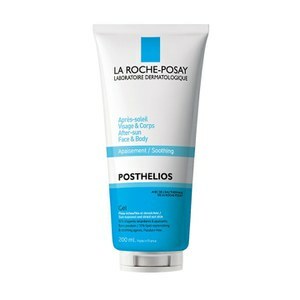 I really love this in summer, it's a really light formula that applies easily and aborbs without any stickiness. Will repurchase.